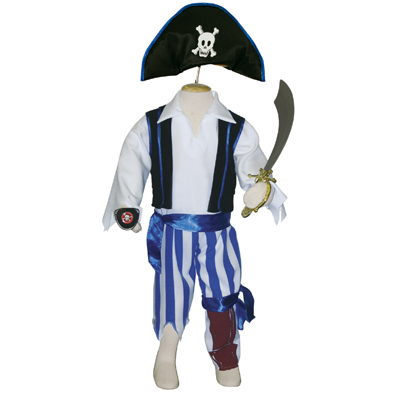 Rule the seas with this great pirate outfit. 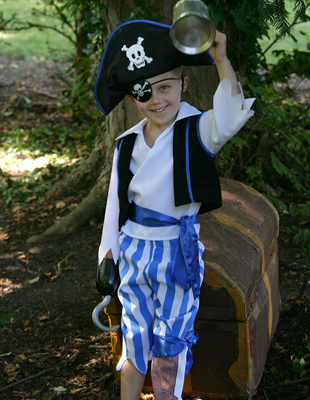 Consists of blue striped trousers with a satin sash and a mock peg leg, waistcoat and shirt ensemble. Also includes a skull and cross bone pirate`s hat, eye patch and a cutlass accessory.